It was a goosebumps moment. Images of the Hoover Dam, the Golden Gate Bridge, and the Giza Pyramids moved across the screen to a swelling cinematic score, as a movie-trailer voice boomed: “The foundation of all great structures is people.” And that was just for openers. 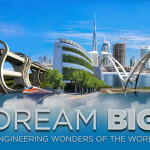 At the ASCE 2015 Convention in New York City, ASCE screened a trailer for Dream Big: Engineering Wonders of the World, its giant-screen film now in production, and members in the audience were clearly moved by what they had seen. Dream Big recently moved into full production thanks to the Bechtel Corporation, which has signed on as the film’s presenting sponsor. “ASCE is extremely grateful to Bechtel for their generous support to make this project a reality,” said ASCE Executive Director Tom Smith in announcing the partnership at the Convention. The film will take advantage of the awe-inspiring scope of giant-screen theaters including IMAX to show how engineers have made civilization possible, and to encourage youth to make it a career. ASCE is working with award-winning documentary filmmakers MacGillivray Freeman on the production and associated educational materials. Dream Big will have its world premiere during Engineers Week in February 2017. Brian Gill, P.E., L.S., M.ASCE, looks at the Dream Wall during the ASCE 2015 Convention. ASCE has launched a contest in connection with the movie. Civil Engineers Dream Big encourages members to share how civil engineering helped them achieve their dreams. Prizes include a trip to a Dream Big international film shoot, a trip to attend an exclusive rough cut screening with the director in to Laguna Beach, CA, and a premiere event in the winner’s community. 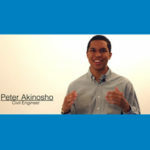 Any ASCE member in good standing is eligible to enter the contest via an online entry form. Deadline is Feb. 1, 2016. Winners will be randomly drawn from all eligible entries and announced during Engineers Week 2016. Promotion of Dream Big at the Convention included a “dream wall” featuring quotes from several prominent civil engineers on how the profession helped them enable their dreams. “Growing up in Port Orchard, Washington, I had to cross the Tacoma-Narrows Bridge every day to get to high school. My physics teacher showed us some footage of the bridge collapse (in 1940). I was hooked by the video. I was hooked by the story. That was what started my journey. Later, I worked two summers on the project to parallel the existing Tacoma-Narrows Bridge. It was a dream come true for me,” wrote Erin Slayton, a deputy project manager on a $1.8 billion South Mountain Freeway Project in Phoenix, AZ. Convention attendees wrote and posted their dreams on the wall via cloud-shaped sticky notes. Others took to social media to share theirs. “I dream to inspire young engineers to have the courage to aim high; to dream more, learn more, and achieve more,” wrote Paul Giroux. 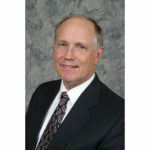 I would second Paul Kuhn’s suggestion to consider past OCEA projects. In addition, I would suggest considering some of the material from Building Big. I certainly look forward to this film since it should be a big boost to 1) fostering interest in young people to consider a career in Civil Engineering and 2) to inform the public at-large of the importance and need to maintain and improve on our vast infrastructure before it fails us. The work of Civil Engineers, in conjunction with our multi-disciplinary partners, provides for order and ensures the protection of the public health, safety and welfare. A world without functioning infrastructure is a world without the basics required for civilization to prosper and live in harmony. The Dream Big producers should consider all of the Outstanding Civil Engineering Achievement projects of the years especially the 1994 Sidestream Elevated Pool Aeration Project of the Metropolitan Water Reclamation District of Chicago. Really looking forward to the 2017 release of Dream Big! Dream Big is an awesome way to promote the profession of Civil Engineering to the masses. Keep up the good work ASCE!